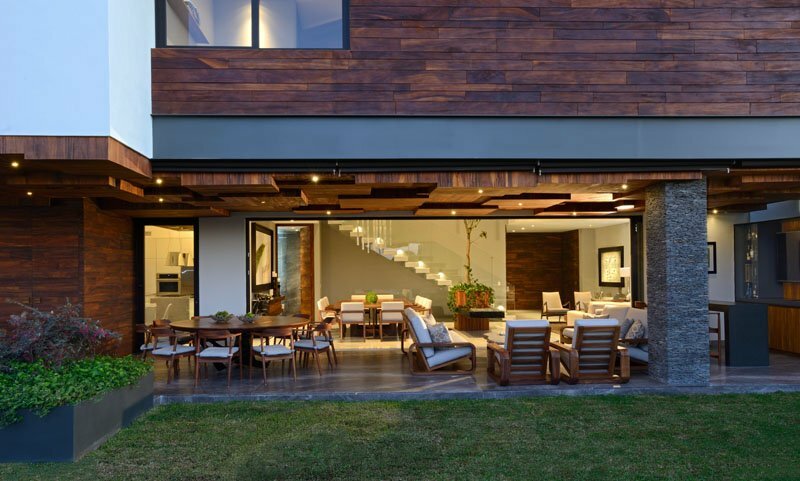 A beautiful modern home with a lovely combination of materials. Because of the modern design trends of homes, it is easier to come up with a house design merely by combining simple lines and shapes together. That is why most modern homes have a geometric look but it varies on how the lines are being distributed as well as the kind of materials that are being used both for the interior and the exterior. Isn’t it amazing that we could actually get different home designs simply by putting together lines and shapes? It sure is. It is because of the uniqueness of every lot area as well as the creativity of the designers. 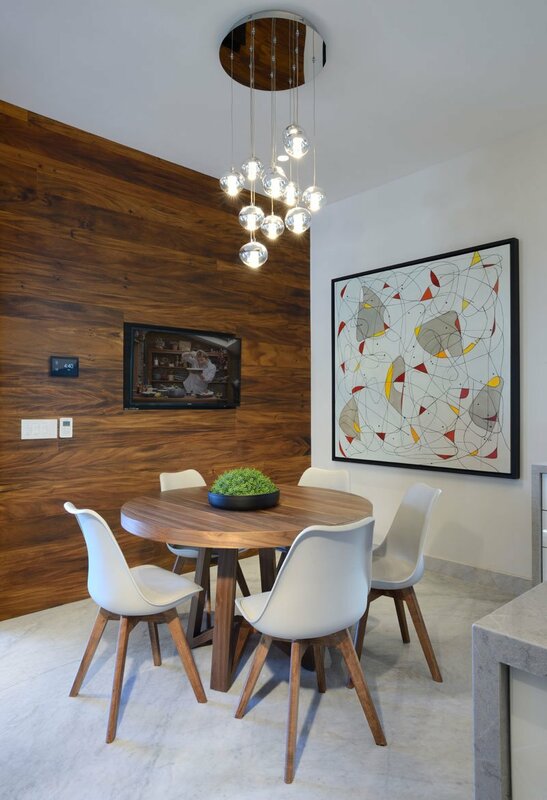 Today, we are going to show you a modern home that uses a variety of materials. 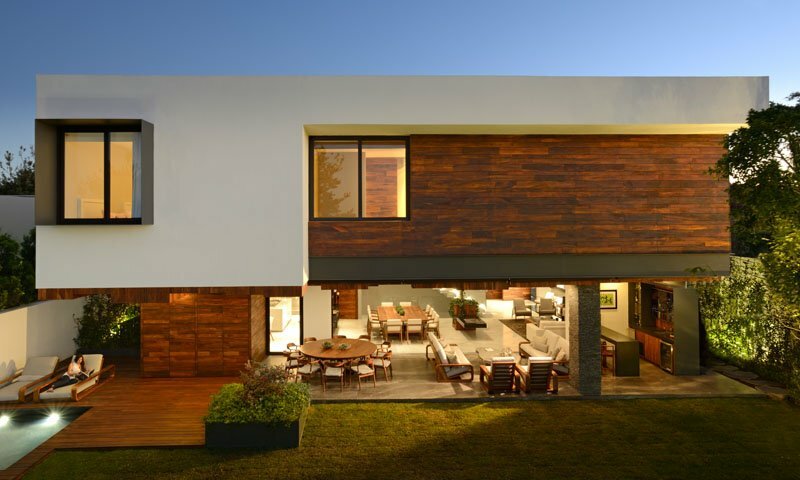 In Guadalajara, Mexico sits a home called Atrium which has a palette of wood, steel, and stone. 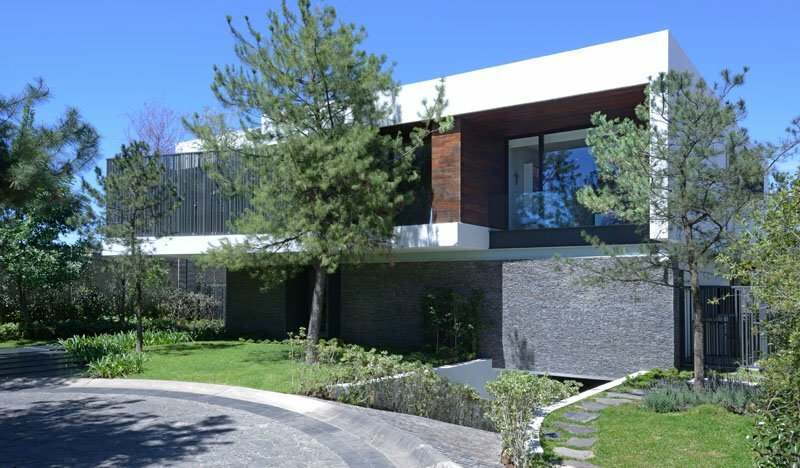 The house is designed by RAMA construction and architecture that created a new family home with beautiful interiors and a relaxing outdoor area complete with a lawn and a pool. The house is spacious and is surely something that a family would dream of owning. 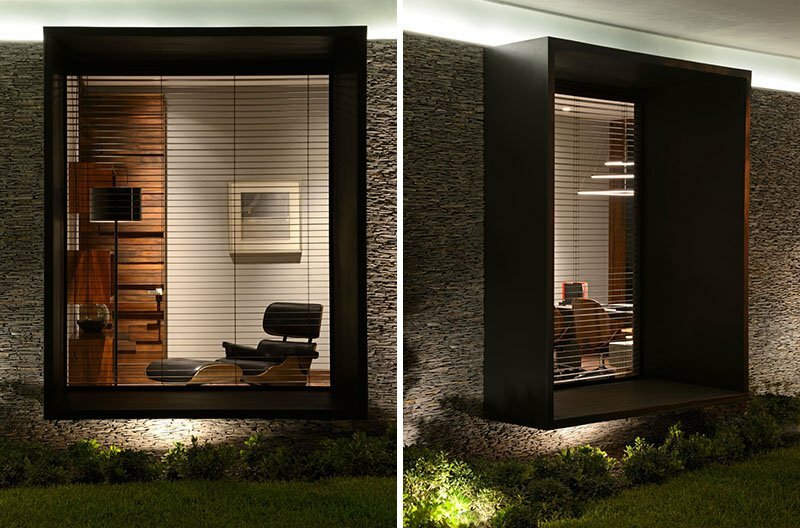 Let us take a look at the beauty of the house through the images below. Unique feature: A modern home that combined wood, steel, and stone while featuring a stunning interior and outdoor area. 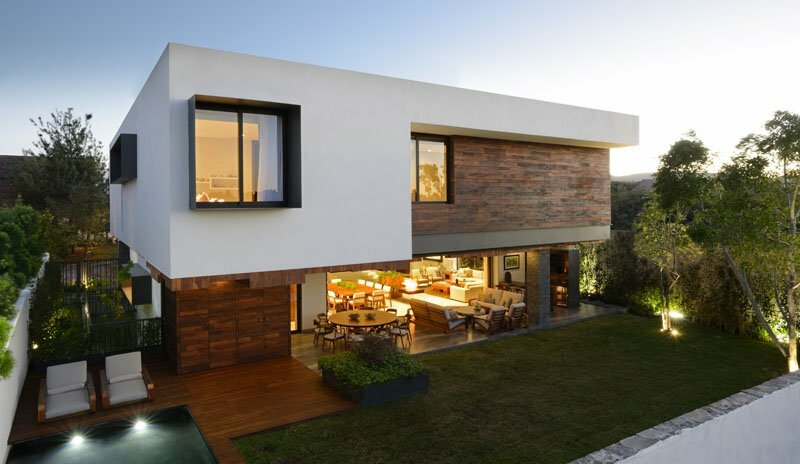 The design of the house is just simple but the creative use of volumes, lines and materials made it appear really stunning. It is also nice that the house has a lawn and an outdoor area where the family can entertain guests and friends both day and night. The exterior of the house looks nice as well and you can see the materials used here. Isn’t this a lovely facade? 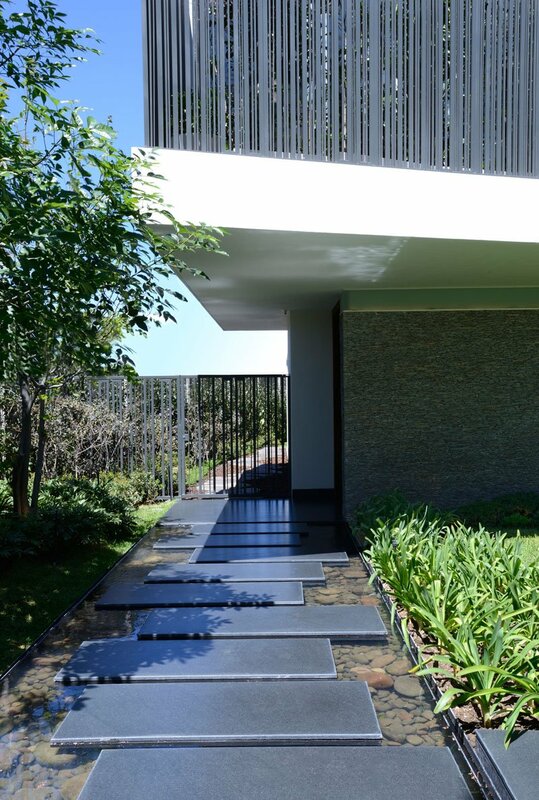 The home has been designed with two cantilevers that give shape to the front and rear facades. You can also see in this image a water feature just around the pathway. What gives the house its identity is its palette of materials like wood, stone and steel. Seen here is a beautiful design of the window. The house has two floors and a basement level. The ground floor has an office, living room, dining room, kitchen and terrace. Upstairs, there are the bedrooms, and in the basement are the service areas like laundry, garage, utility room, and others. Seen here is the landscaped yard. 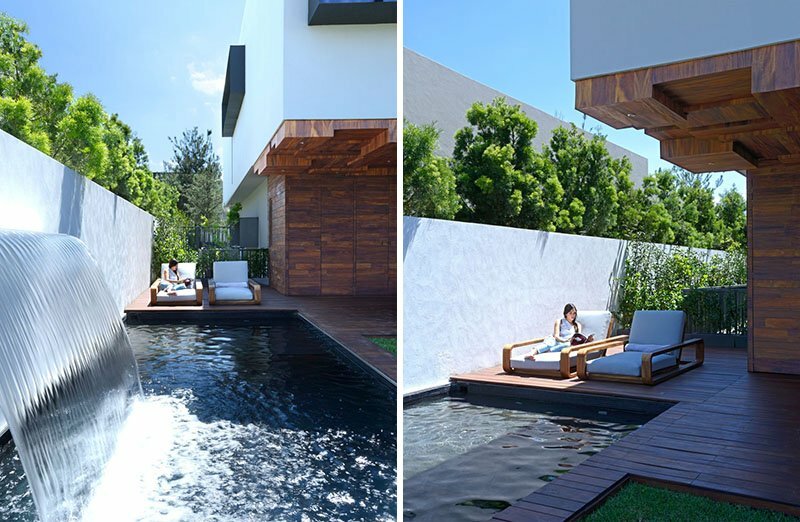 It has a water feature and a seating area for relaxing. 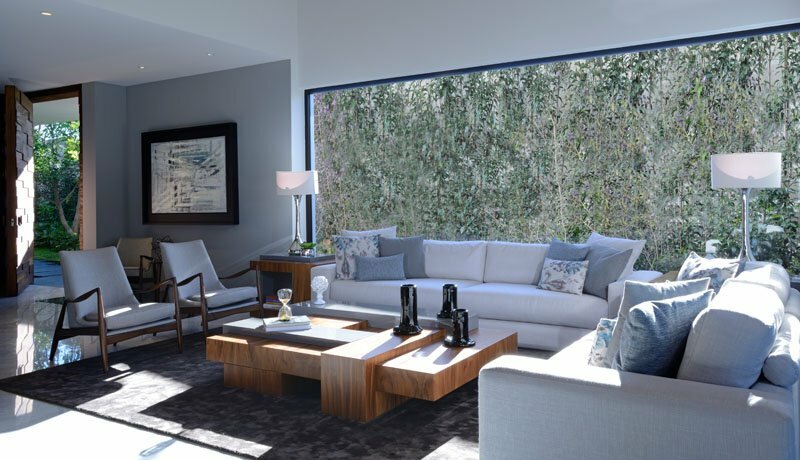 The home is designed for indoor/outdoor living, with a large dining and lounge area as well as a large lawn as well. Kids will surely have a great time playing around here. 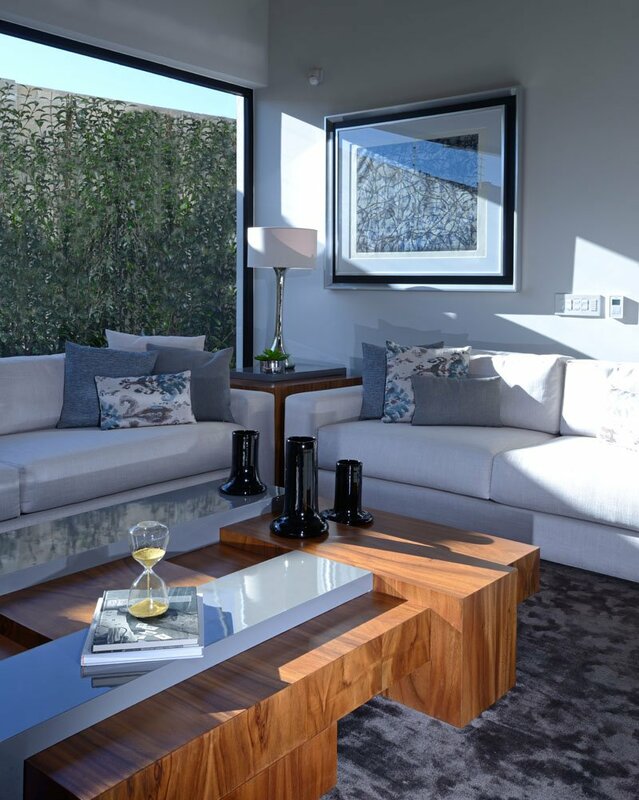 Inside the home, you can see how lovely and well-designed it is with a mix of materials. The interior design is done by VP interiorismo. The interior opens up into a large double-height space. A small breakfast table made of wood surrounded by modern white chairs, shares the kitchen space. 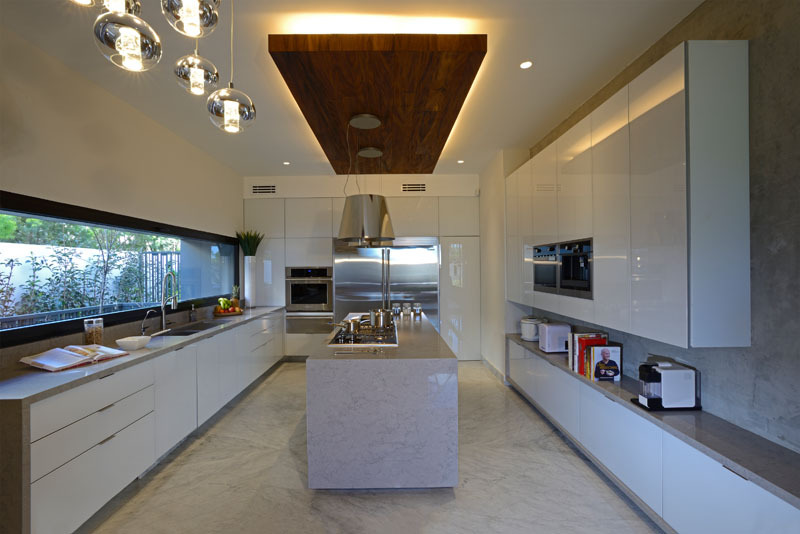 The large kitchen features double refrigerators and a long central island. Notice also that it has a wooden ceiling above the island that breaks the whiteness of the area. This is the interior living room, found just off the front door with a huge picture window to let lots of natural light in. The house features different furniture of high quality with beautiful designs like what you can see here. If you love to entertain guests especially during the night, it also has an outdoor bar area. 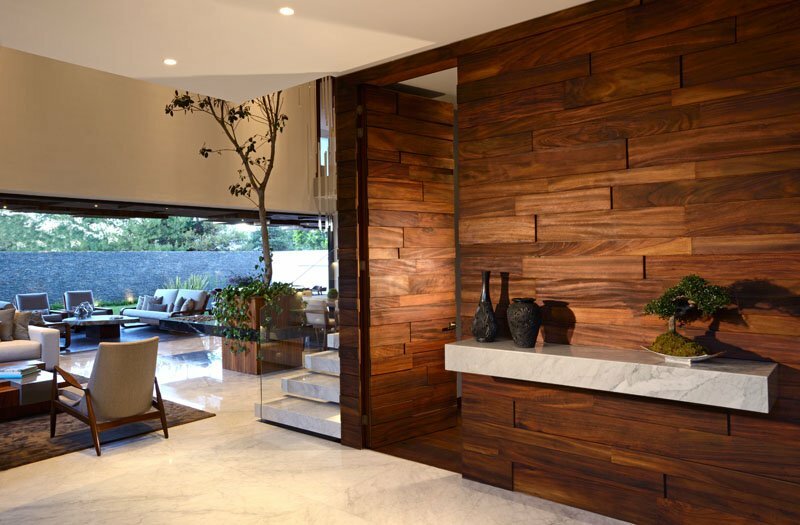 Aside from the exterior, elements of wood are also featured throughout the home like this one. 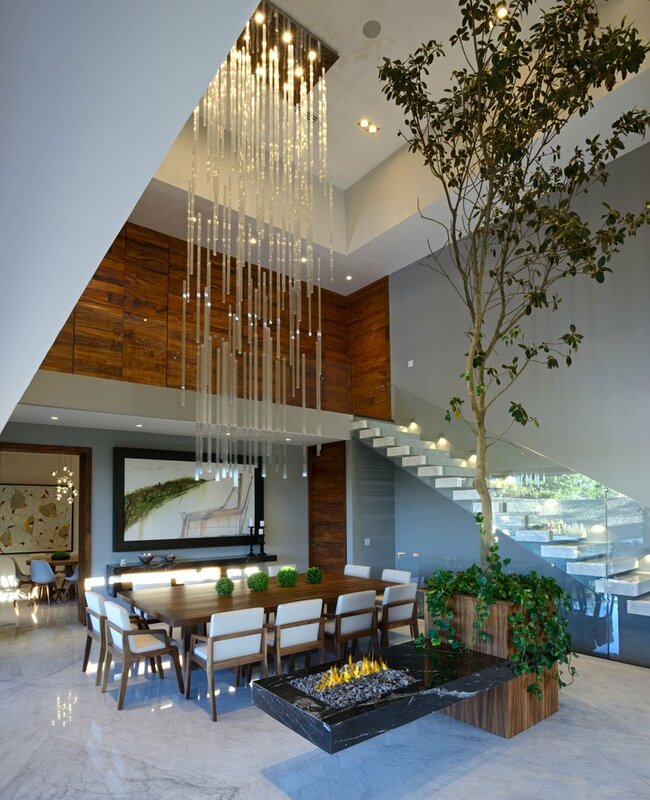 To connect the different levels of the house, it has a lovely staircase. 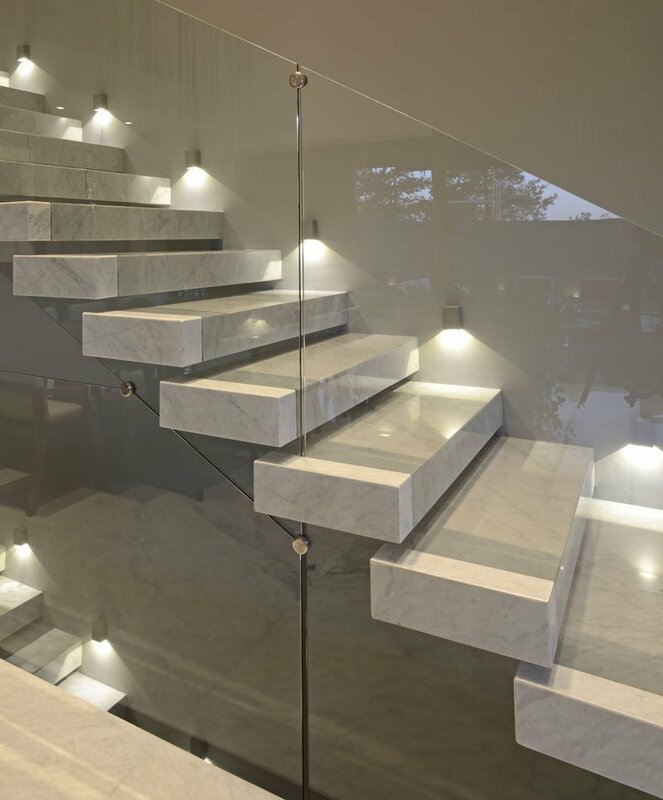 This is a close-up look at the stairs with their glass railing. Seen here is the cellar which can be accessed from the basement, but it can also be seen when you walk in the main entrance to the home through the large window. 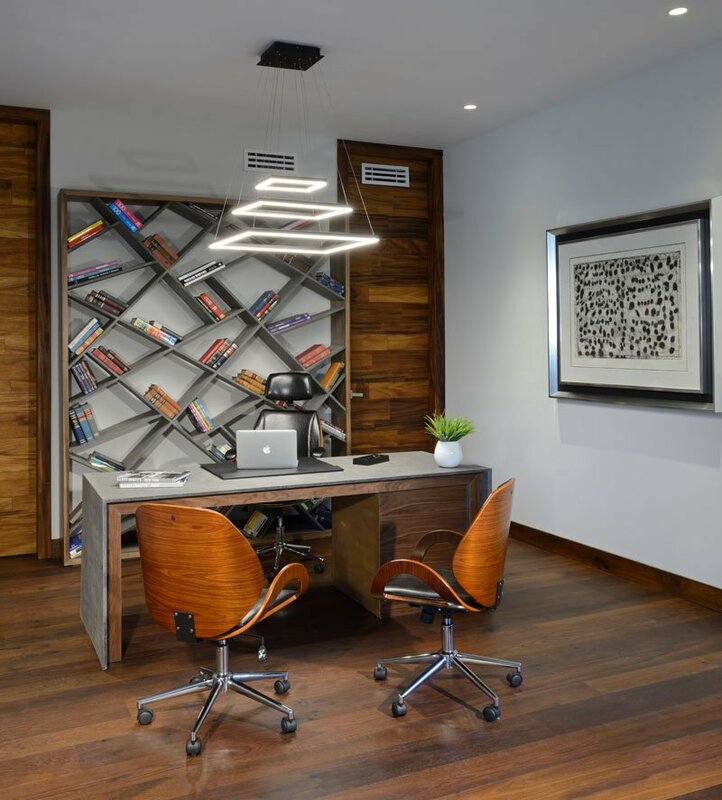 The home office can be transformed and used as a fourth bedroom (when needed) because it has its own dressing room and access to the guest bathroom. What I find interesting here is its shelving. Opposite the bed are bookshelves and storage that match the wooden feature wall in it. An every woman’s dream! But it appears that this one is a shared area for a man and a woman because there are also items owned by a man. 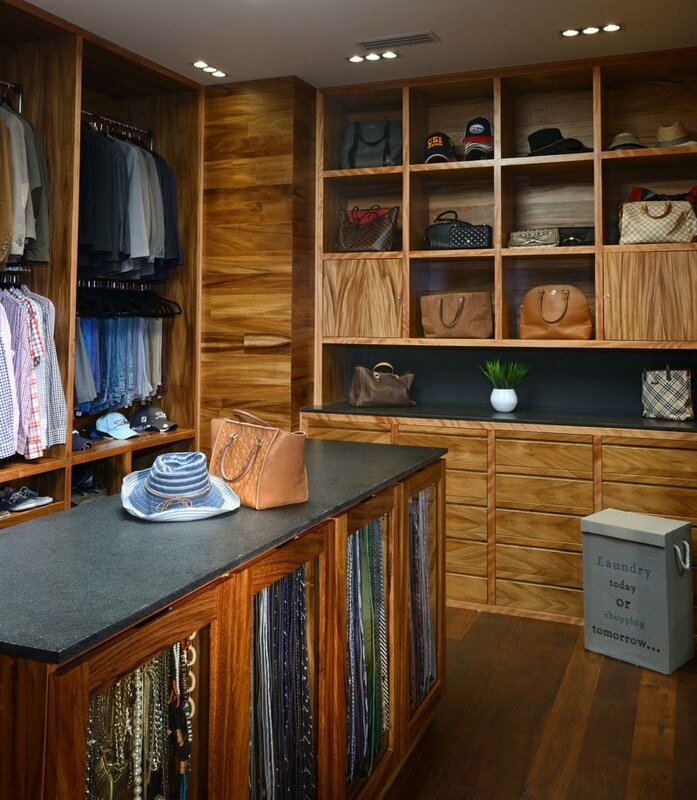 There is also an extremely organized walk-in closet in the house where you can see different personal items being stored. 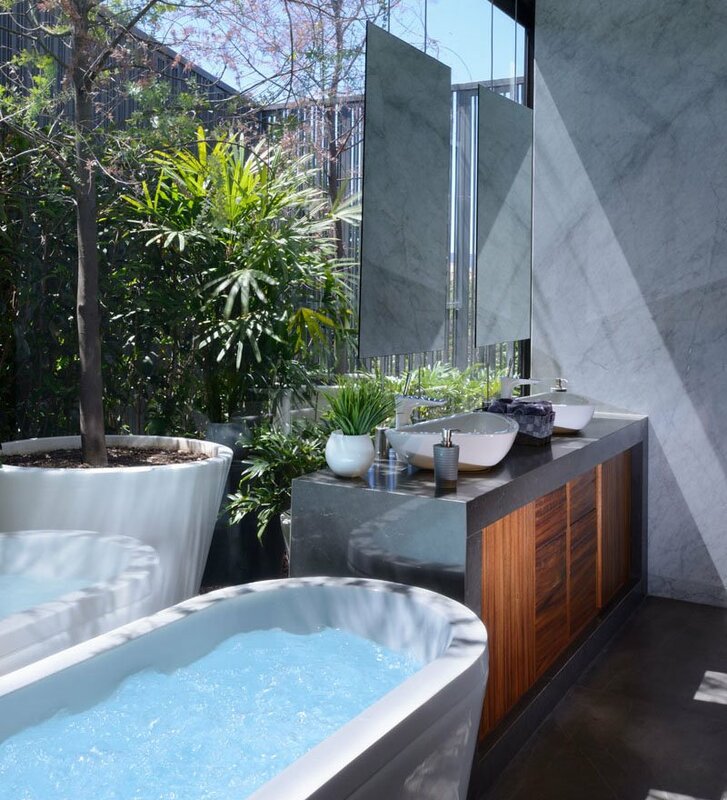 The master bathroom is filled with light from the huge window and it also looks nice with the plants around it giving it a natural look. The children’s room has two beds on it and each one has a storage space at its foot. Those baskets are so cute! 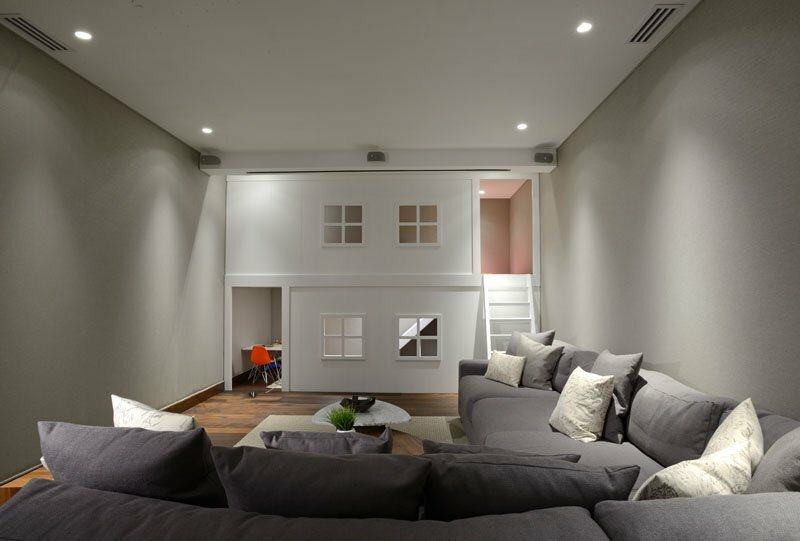 In this part of the house is a play room with a comfy sofa. The play area is elevated in a mezzanine. Isn’t it nice? 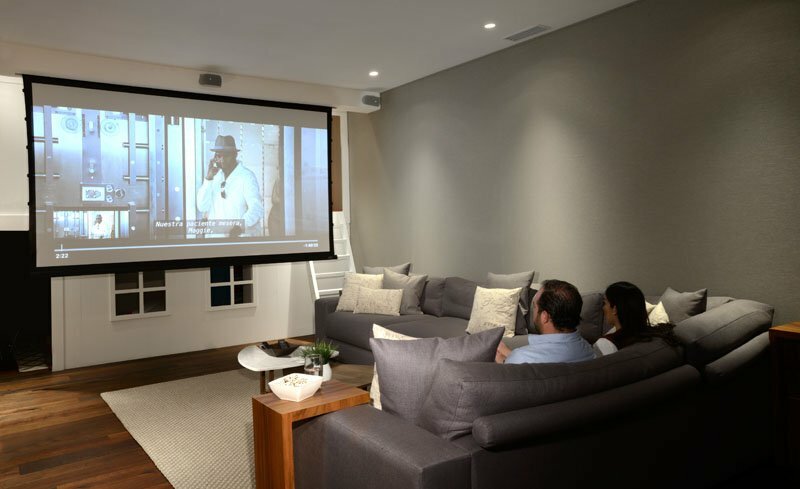 There is also an area that is perfect for watching movies with a drop down projector screen. The home also features a large car garage with plenty of room. This means the owner can have more cars if they want to. Lovely home, right? 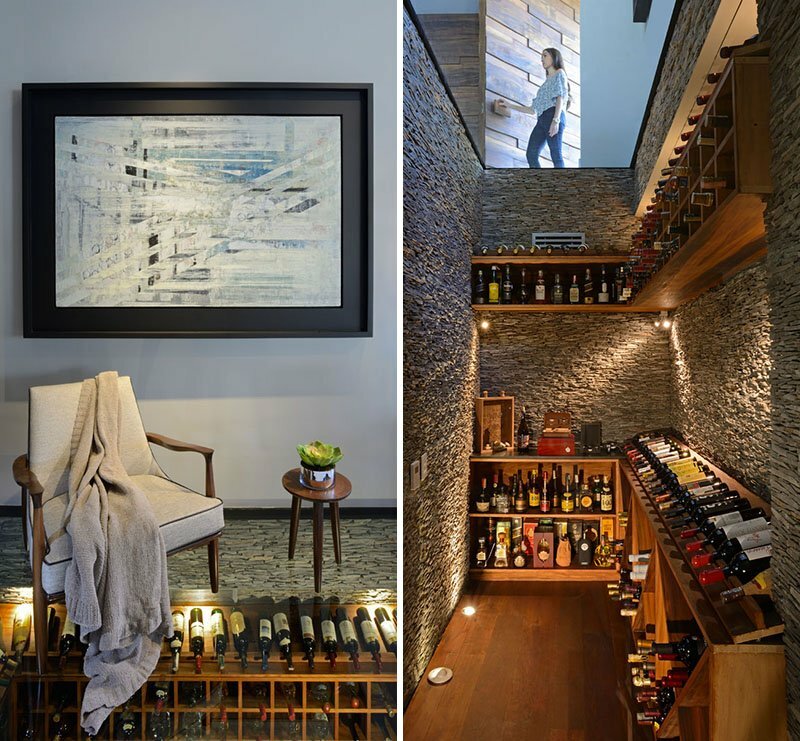 For sure after seeing the many spaces of the house, you fell in love with this house that is full of luxury and beauty but remains functional and usable. This house is designed by RAMA construction and architecture and is certainly something that we can use as an inspiration for our future homes. I especially like the way they used materials together in this house. How about you, what can you say about this home?